Sometimes I just trip across good to know information. 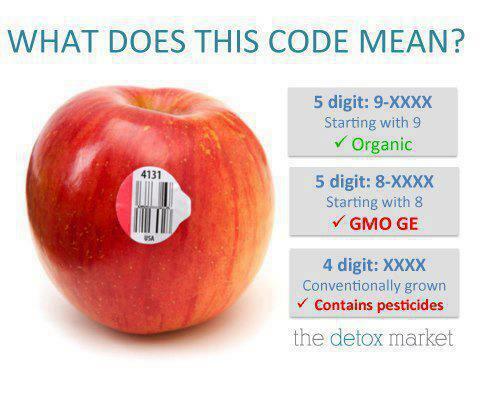 If you want to avoid GMO or prefer organic this will help. If there are only four numbers in the PLU, this means that the produce was grown conventionally or “traditionally” with the use of pesticides. The last four letters of the PLU code are simply what kind of vegetable or fruit. An example is that all bananas are labeled with the code of 4011. You need to print this out and write your grocery list on the back.